Stefan Maisnier is the Director of Online Tutoring at MyGuru, with over a decade’s experience helping MBA candidates get into top programs across the United States and worldwide. This June, the Graduate Management Admission Council (GMAC) announced that test-takers will be allowed to select the order of the GMAT. Test-takers can now begin with either the Verbal or Quantitative section before concluding with the Integrated Reasoning and Analytical Writing Assessment. While test-takers will appreciate the added flexibility, there are considerations to make before choosing a preferred order for the exam. Ultimately, GMAT test-takers must choose the order that is right for them. To figure out which order that is, there is no better indicator than past performance. 1. Has your prep to this point been based on the prior fixed exam order? As an online GMAT tutor, I’ve had several students who had been practicing on the old order – beginning with Analytical Writing and Integrated Reasoning – initially react with excitement at their new options. However, upon further consideration, nearly all of them ended up sticking with the old way on test day. They just didn’t want to introduce a new variable into the testing mix, and if you have been preparing for the old format, you might not want to change things up either. 2. Are you a fast starter or a strong finisher? Some of us are morning people, others are night owls. It’s important to know ourselves when making any choices, and picking an order for the GMAT is no different. If you find that you need time to get into a groove, the generally ‘less important’ Analytical Writing and Integrated Reasoning sections might provide an opportunity to warm up for the Quantitative and Verbal sections that make up the all-important score out of 800. Alternatively, if you know that by the end of the test your focus starts to wane, it might be beneficial to begin with one of the ‘more important’ sections and finish up with the less scrutinized sections. As is the case with preparing for any task, it’s important to assess strengths and weaknesses. If you have a significant disparity in performance across the sections, it can be beneficial to start where your score is stronger. Sometimes, if challenged immediately, we can all begin to dwell on what went wrong. So, beginning with a section you generally perform better on can help avoid worrying about a subpar early performance and having it negatively impact how you approach the rest of the test. 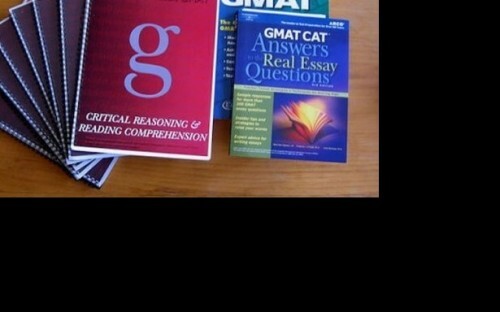 Ultimately, however you choose to order your GMAT, preparation will still be the key. Every GMAT student should begin preparing at least two months prior to their test date to maximize their score potential, no matter which section comes first!